2015 marked the 5th year in the travel hacking game, and was a pretty great year for earning miles and points. We earned a little over 1.25 million miles and points spread out over 11 programs, with the majority in airlines or transferrable programs. 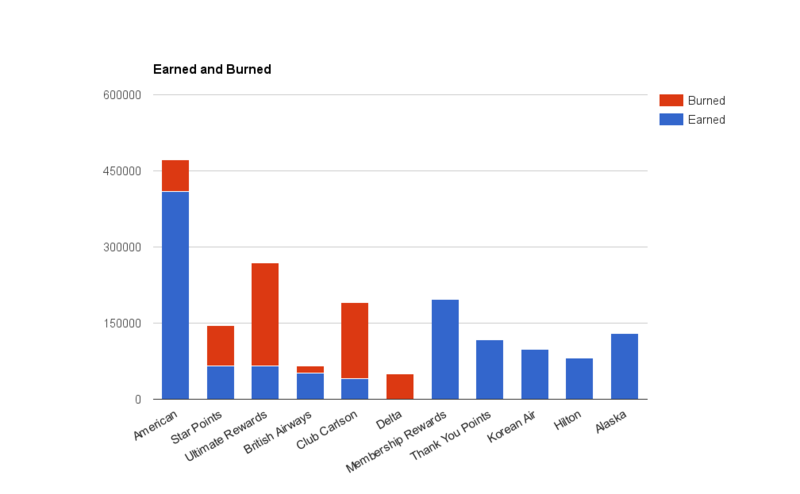 As you can see, the majority of points earned were in American Airlines, with a little over 400,000 miles earned. Next highest were Membership Rewards at close to 200,000, Alaska Miles at 130,000 and Citi Thank You points at 116,000. So how did we earn all these points? Mostly through the tried and true method of credit card churning, which accounted for 800K points. Second place goes to the banks which gave us close to 200K points, and third goes to Manufactured Spending, where we earned roughly 130K points. The rest was earned through credit card retention bonuses and normal, every day spend. We signed up for 20 cards last year, and were approved for all but 2 (I was turned down for a 2nd Barclays US Airways card and a Korean Air business card). 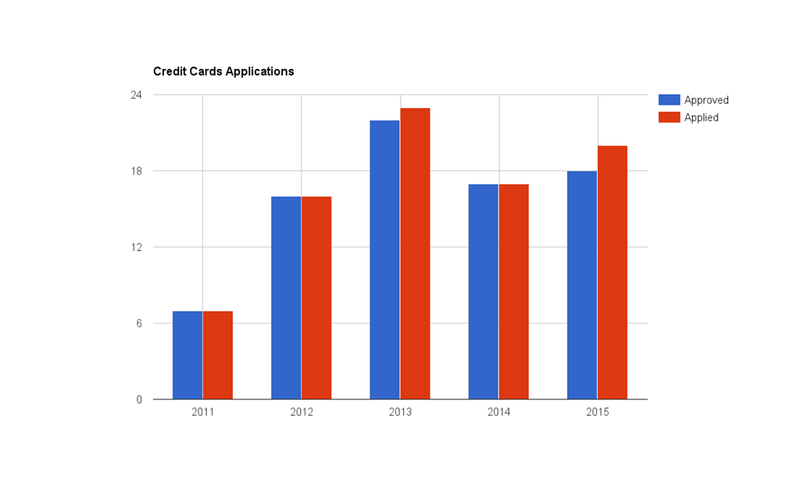 According to my records, this is the second highest number of cards we have applied for since we started hitting CC applications hard back in 2011, only overshadowed by 2013 where we applied for 23 cards (and were approved for 22!). And what did it do to our credit? Well, to be honest, I haven’t checked my credit score in ages, but Mrs. Selfish’s stands at a strong 797 according to her last approved application and she applied for the lion’s share of our cards this year. Another fun fact is that of the 20 cards we applied for, 11 were cards that Mrs. Selfish or I current hold or have previously held in the last 2 years. Banking accounted for the next highest number of miles and points and earned roughly 200,000 miles. 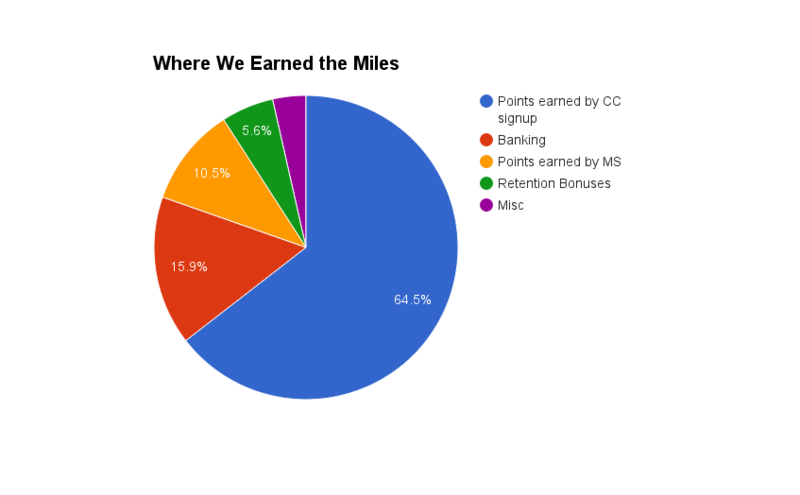 While a good portion of miles were earned through our Bank Direct mileage account, the majority were earned by applying for Citigold checking and savings accounts and funding them with a credit card. If the Citigold AAdvantage account comes around again, I highly suggest reading Doctor of Credit’s guide. 2015 marked the year I really tried to get into Manufactured Spending. Unfortunately, it was also the year that many Manufactured spending techniques were shut down. Whoops. Between Redcard, American Express Giftcards, Giftcards.com, NW Buxx, Serve, and a (small) foray into gift card reselling we managed to earn a cool 131,000 points and miles. Not too shabby. Unfortunately, basically all of these methods are dead now (with the exception of NW Buxx which has been severely hobbled), so this might be the end of our Manufactured Spend shenanigans. While I will miss the dopamine hits, we probably didn’t scale our MSing up enough to be worth the effort – especially when I look at the miles earned MSing vs. other, easier avenues. Only 560,000 miles and points burned! I guess this is what happens when you focusing on earning with much fewer burning possibilities in sight. It’s kind of nuts that the miles we earned last year were more than double what we burned – that’s never happened before. Part of the reason was that most of our trips were domestic, and I can hardly ever bring myself to use miles when the flights are “only” domestic redemptions. Especially since we had so many US Airways companion passes. 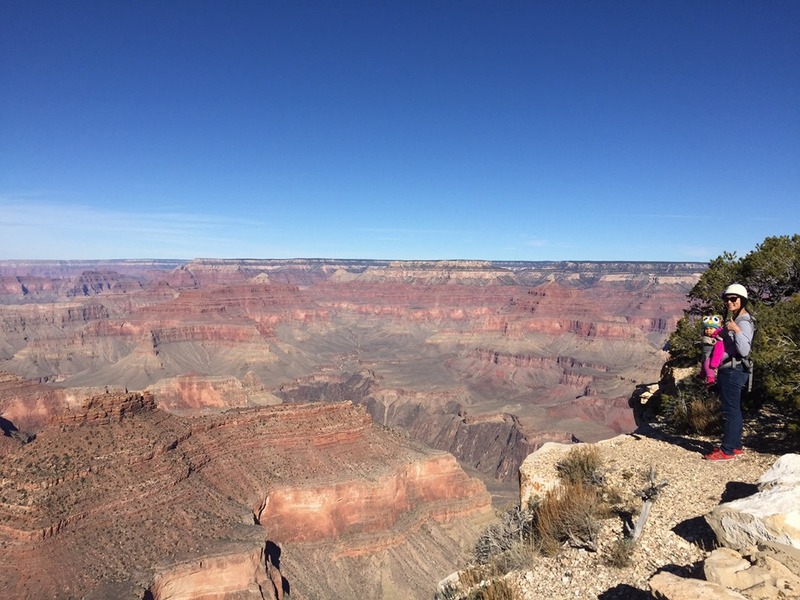 We used a US Airways companion pass to get Baby Selfish her own seat for our Thanksgiving trip and finally managed to visit the Grand Canyon! So where did we spend the points and miles? Some (roughly 8%) were spent on our trip to Seattle and Vancouver with friends. 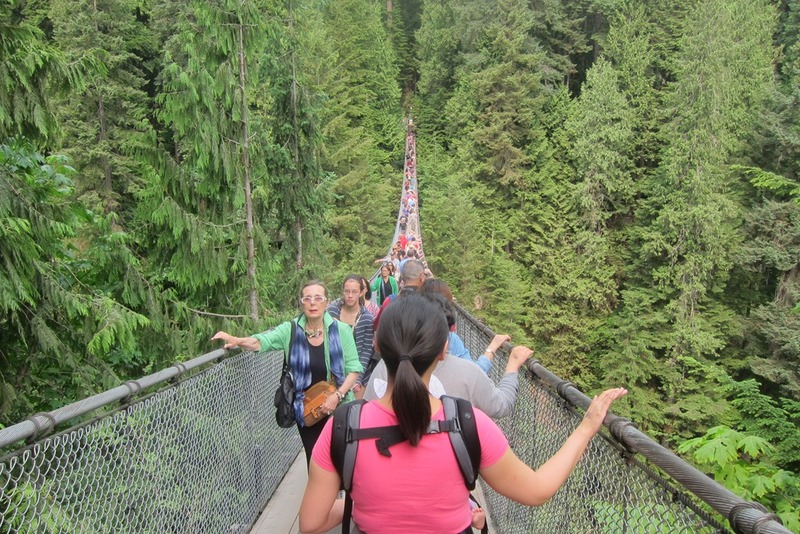 Crossing the Capilano Suspension Bridge in Vancouver. Meanwhile our trip to Hawaii came in at 34% of miles and points spent at roughly 190,000 miles. 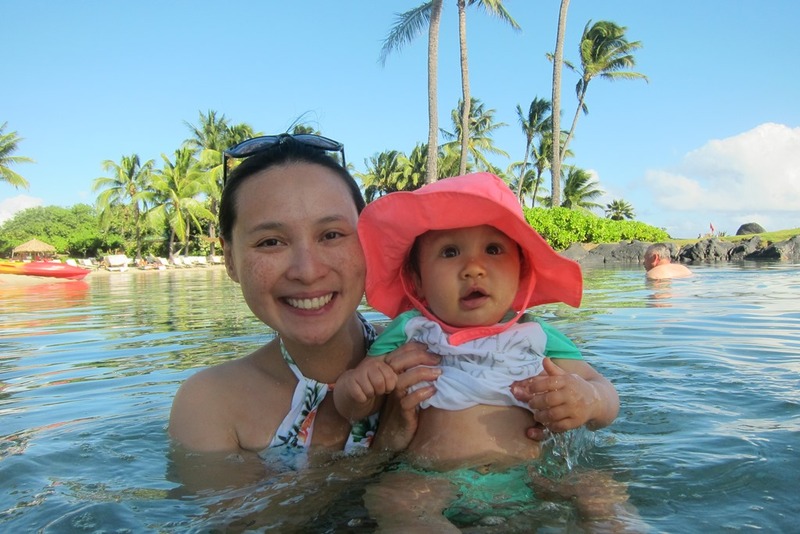 We used BA miles to cover our Alaska Airlines flights, and Chase UR points to cover the Grand Hyatt Kauai, which Baby Selfish thoroughly enjoyed. She sure loved the lagoon! For our 4 northern days on the island, I had booked us in a rustic AirBnb. Unfortunately, while the AirBnb was suitable for Mrs. Selfish and I pre-baby, it was a poor fit for Baby Selfish. Dark, small, hot, and full of mosquitoes, Baby Selfish cried almost immediately and refused to calm down for over 2 hours. 30 minutes later I found myself burning 80,000 hard earned SPG points for 4 nights at the Westin Princeville. Naturally she calmed down as soon as we set foot in the room. 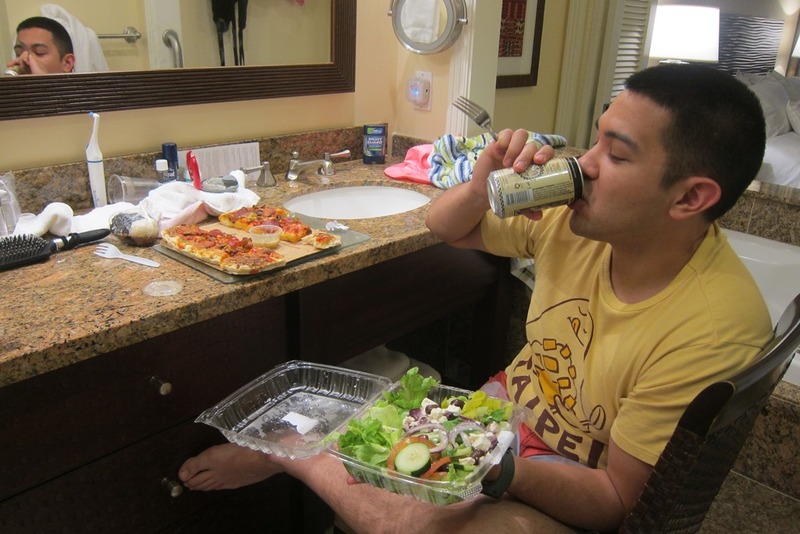 We spent many days eating dinner in the bathroom, a/k/a “Parents’ Lounge”. Way too depressing. While I was a little bummed to use all those points, I was thankful we had them, and the rest of the trip went smoothly. Kauai’s north side is gorgeous! We burned 150,000 Club Carlson points on hotels in NYC and Chicago, and another 52,000 Chase UR points for Southwest tickets to visit my family in upstate NY. 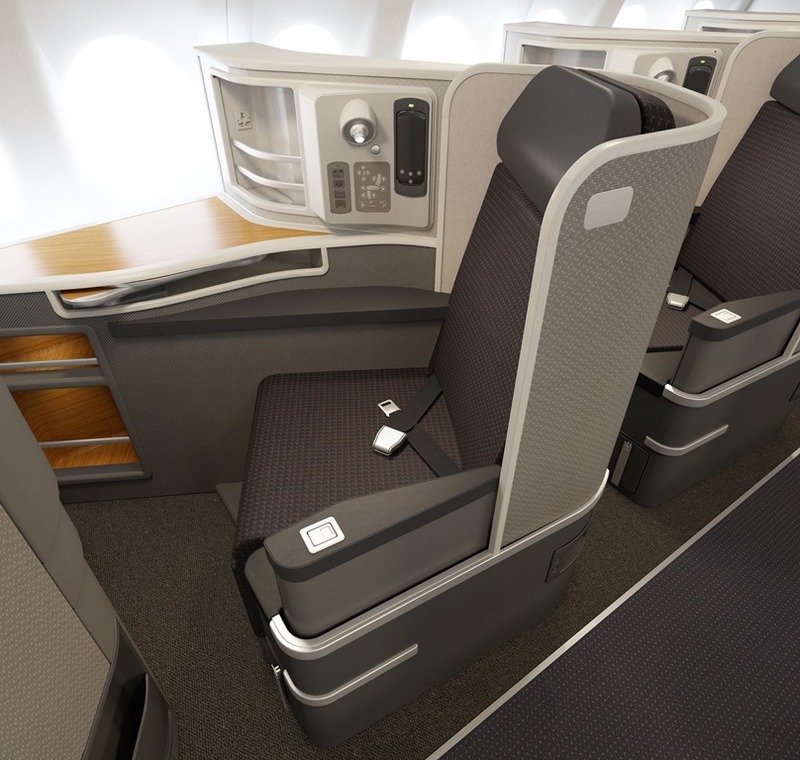 We also burned 62,500 on two first class tickets on American Airlines for our NYC trip this fall. Here’s hoping Baby Selfish isn’t too squirmy at the front of the plane! We spent the remaining miles on short haul flights to visit Mrs. Selfish’s folks in Virginia, and the rest on tickets for family to visit us later this year. Definitely miles well spent. Honestly, I’m not sure. We started this blog to chronicle our trips for friends and family. Since then it has become our own public “memory” of old trips. I still intend to travel, and I occasionally feel that old familiar itch to go somewhere new, but Baby Selfish is too old to sleep for most of the flight, and too young for us to bribe with a movie or iPad. 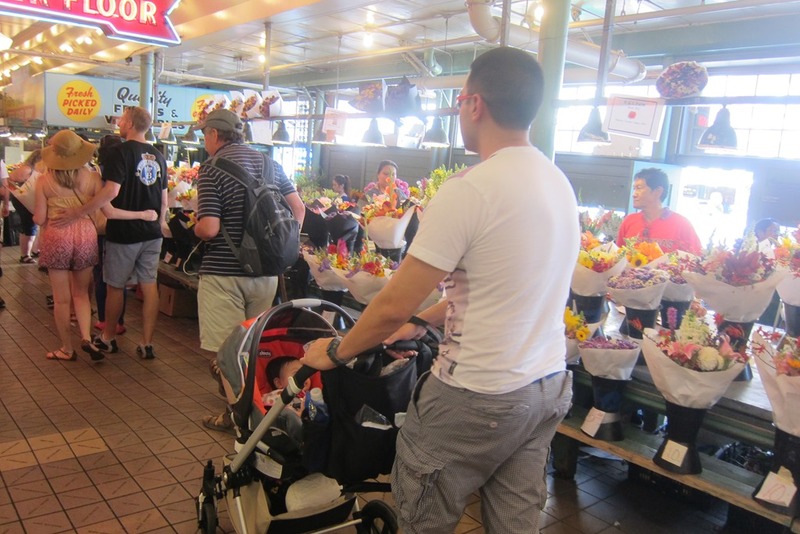 To make matters even more complicated, we have already visited 18 out of the 21 direct international destinations that are accessible from the Bay Area and the thought of managing a squirming infant over multiple legs is not appealing. Definitely a first world problem – and something childless me never thought I’d be concerned about. So we’re in a bit of a holding pattern for now. Stay tuned! Being new parents is a lot of work but worth it. 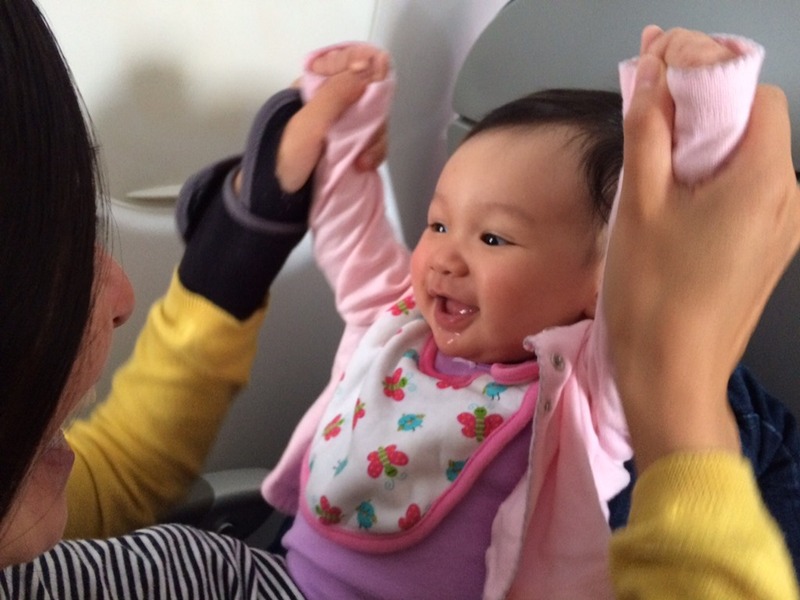 Traveling with Baby Selfish will get easier. We never had to do the dinner in the bathroom thing. Good to see a new blog post. Keep them coming. You are cool parents! Before you know it, Baby Selfish will be old enough to suggest/order your next destination. Enjoy her baby phase while it lasts. Baby Selfish is adorable! Staying home and raising your child is a journey that you will always treasure. Happy travels!